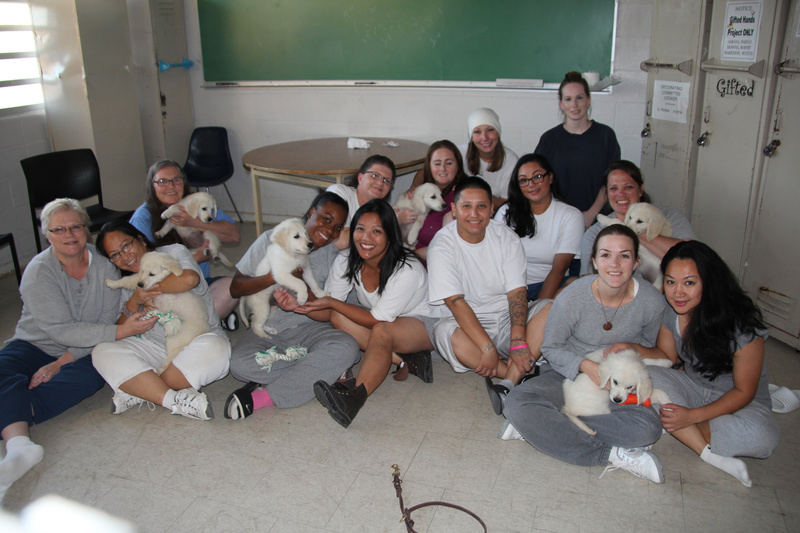 Our prison program has been an amazing help in raising and training our dogs! We were very excited to start this program but had no idea it would be this successful. Our official name is the PUPS Program (Puppies Uplifting Prisoners Spirits) and that is exactly what has happened. We have found this program to be just as beneficial for the inmates as it has been for our dogs. The inmates are so enthusiastic about working with our pups everyday that the dogs are getting trained at an unbelievably fast rate. There has been so much success, in fact, that we are hoping to start working with even more prisons. No part of a prison program is cheap however, so we rely heavily on support to make this a possibility. Thank you for the generosity, and we look forward to the expansions coming!